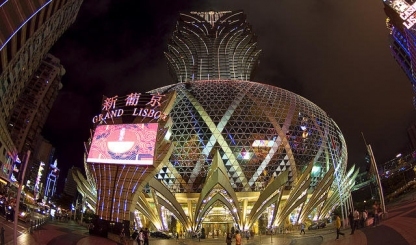 Sitting in the heart of Macau, the Grand Lisboa Casino is part of the stunningly captivating Grand Lisboa Hotel. A myriad of lights and colour flow together to create the unique external appearance of this Macanese landmark, which happens to resemble a golden egg. LCD screens covering the building makes for an incredible show at night. The interior design of the casino is luxurious, to say the least. With just over 98,000 sq. ft, of space, the casino contains five floors of gaming. For high rollers, the high limit slot ‘Tycoon Club’, located on U1, targets towards valued slot players.